Three cheers for failure! Wait, what? 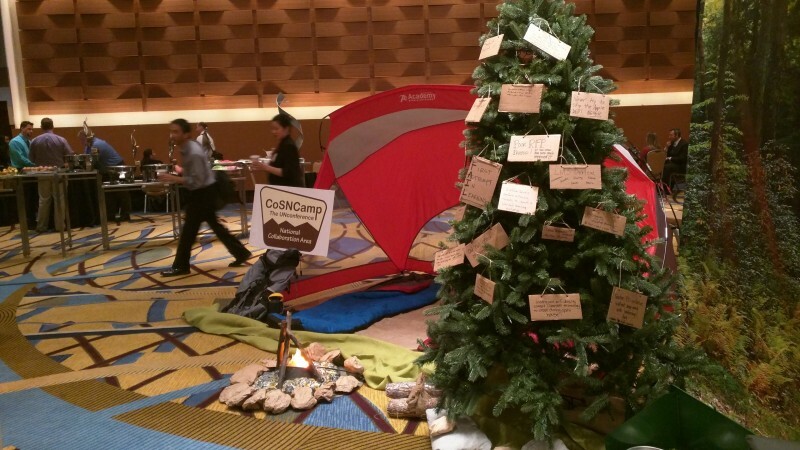 ATLANTA, Ga. – A faux evergreen tree set up inside a convention center hotel here last week was festooned with hand-written confessions from school leaders. Of course, most of the events at the annual conference for the Consortium for School Networking, a national professional association for educational technology leaders, were not about failure. This was not a meeting of Luddites, after all. But many sessions offered presentations from leaders who had pioneered education technology, and who could offer successful examples and suggest solutions to common problems – and acknowledge failures, as well. Related: Be a blended learning insider. Sign up today for exclusive access to The Hechinger Report’s newsletter. It’s free. We deliver it directly to your inbox once a week. The annual conference featured awards to those who were successful, celebrations of intelligent risk-taking and shared stories of promising innovations. And the organization shared documents that serve as a road map to guide people toward smart choices, and revealed the results of a survey of members’ opinions on technology needs. This year, the federal government expects to dramatically increase the amount of money available to subsidize education technology purchases for schools and libraries. In December, the Federal Communications Commission voted to increase the spending cap by $1.5 billion, and the agency established priorities for that spending, such as improving the speed of the Internet in schools. Here is a sampling of tips offered in some of the sessions during the CoSN conference in Atlanta. The Houston Independent School District, the seventh-largest public school district in the country, is deep into work that will bring every student in the district a computer, something commonly referred to as a 1:1 program. Two leaders from the district, Daniel Gohl, the chief academic officer, and Lenny Schad, chief technology information officer, said a key part of the work was a solid plan. “We dove in and mapped out, in boring detail, who was going to do what and when,” Schad told the audience. That included cooperation between leaders in technology and academic departments. The district determined academic needs first. Technology was selected second. But Schad said too many districts call him to ask “how” the Houston leaders did the work. The first question, he said, should be “why” the schools want classroom technology. Make a plan, but be prepared to change it. When educators in the District of Columbia Public Schools, the school system in Washington, D.C., started using a program to teach computer science, enrichment teacher Angel Cintron said he was eager to try it. Globaloria allows students build their own computer games with the program, and Cintron decided right away that he wanted to be sure students were learning more than just computer science. He wanted creativity. Over a weekend he taught himself dozens of versions of games. This way, he could personalize the lesson so each student was making something of their own. Cintron, who teaches middle school, said he allowed each child to work on a project at his or her own pace. In the end, the top five programmers and coders were girls, he said. Students with high test scores in core academic subjects did not always create the best games, he said. The scores don’t measure creativity or persistence, he said. “Some of my highest performers were the first to quit,” he said, adding that this provided him with an opportunity to teach them that it’s OK to make mistakes if they try again. Let the leaders go first to show others how it works. The Baltimore County Public Schools, led by superintendent Dallas Dance, are currently working on plans to bring uniform technology to all schools. When he started in the district about three years ago, Dance noticed there was inequality between the schools, which span city, suburban and rural communities. Those with active PTAs, for instance, often had so much technology that they couldn’t use it all, while schools from poorer areas didn’t have the basics. After several years of work – which included communications plans, community surveys and developing a prudent budget to pay for new technology – the district opened 10 “Lighthouse” schools this academic year. These schools are the first to use technology in the classroom to enhance teaching and learning. These test cases give teachers, parents and the community a place to see how to works. “We know we needed to go slow to move fast,” Dance said. It’s OK to make a mistake. Attendees at the conference devoted an hour at the five-day conference entirely to the topic of failure. 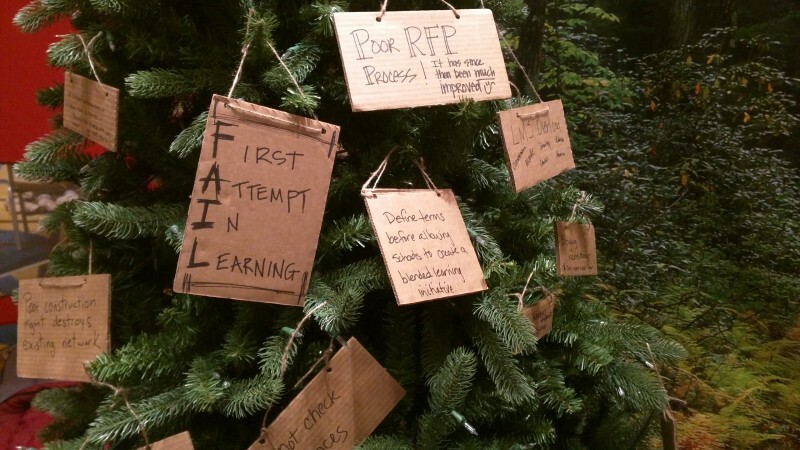 The session, called FailFest, is a noisy, silly session designed to appreciate the value in learning from mistakes. They banged a gong to boot people off stage and whirled noise-makers to “vote” for the best mistake; presenters wore crazy costumes. The idea was to help others avoid making similar mistakes, as the nation’s schools navigate an evolving technology environment and new methods of instruction. “We want it to be fun and light-hearted, but there is a serious point here,” said Gavin Dykes, an internationally known education and technology advisor. 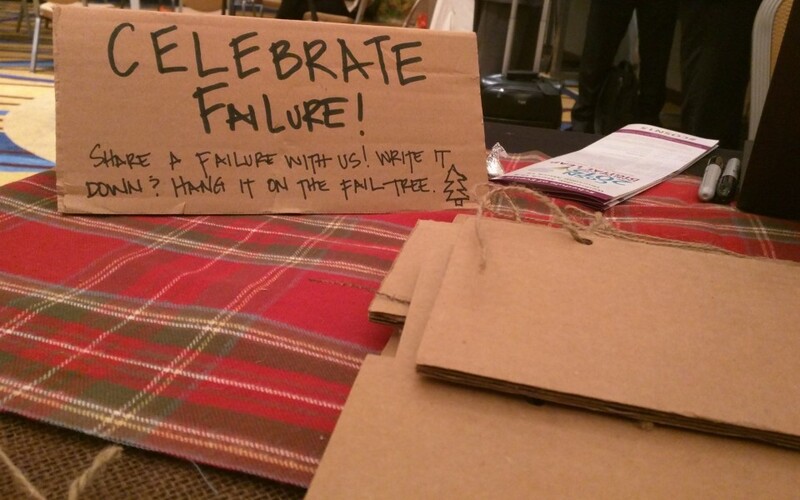 FailFest is a departure from the traditional script at a conference, but it is not unique to the CoSN event. 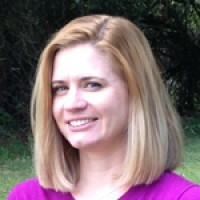 For instance, a version of it is offered at the Education World Forum, where Dykes is program director. That program, which brings together top leaders from several countries, organized a confessional that worked so well there that Dykes suggested the idea to leaders of CoSN. This was the second year CoSN featured it at the annual conference. It adds a dose of reality, empathy and trust, leaders said, so educators are not discouraged when carefully researched plans don’t immediately succeed. “Frequently educators think failure is not allowed,” Dykes said. This story was written by The Hechinger Report, a nonprofit, independent news organization focused on inequality and innovation in education. Sign up today for exclusive access newsletter about blended learning.